Ever tried to take a nap in the evening but woke up later than planned? Not anymore! 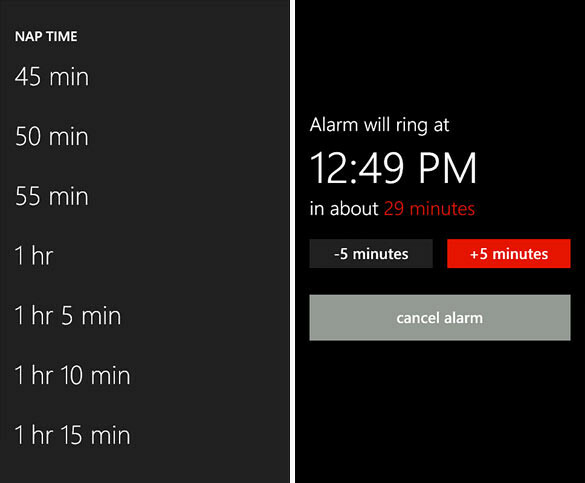 With “Lightning Nap” for Windows Phone, users can now nap for exactly the time you want to. Lightning Nap is a simple one-click nap alarm app. 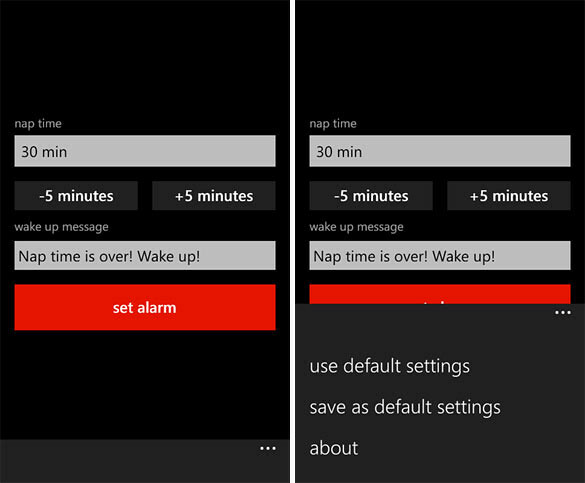 Set how long you want to sleep, put in an optional wake up message, and hit “set alarm”. The app will take care of the rest. You can try the app for 7 days before you decide if you want to continue using it.